D.Jameson - Music In My Mind Radio Show Vol.109. D.Jameson - Music Is The Answer 4 . D.Jameson is a Hungarian born Music Producer aka. László Molnár. His passion for electronic music has started in his early years when he was organising school parties for his friends but He always wanted to do something more, something that will be unique , something that he can express his feelings, creating his own world so he dig himself deeply into music production. 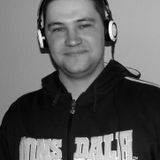 D.Jameson tracks are influenced by a bit of Trance as he began his career in this genre in the end of the 90’s. Later on he met his best friend Napalm who introduced and inspired him with his Progressive House music style. He spent all of his time to make his dream come true and since that released so many great tracks at different labels.